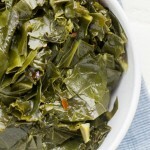 Vegetarian Collard Greens - Made in Vegetable Broth! Can I give a little suggestion too? 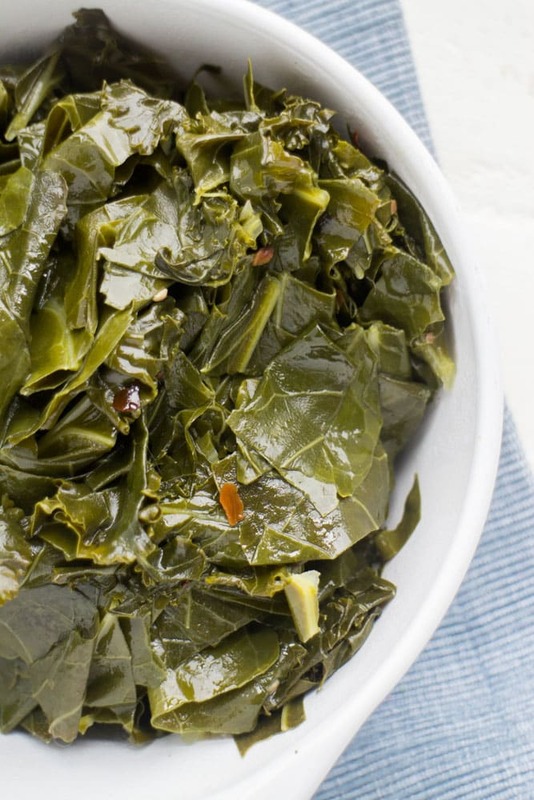 If you don’t have a full pound of collard greens, don’t worry. If you have kale, add that in. 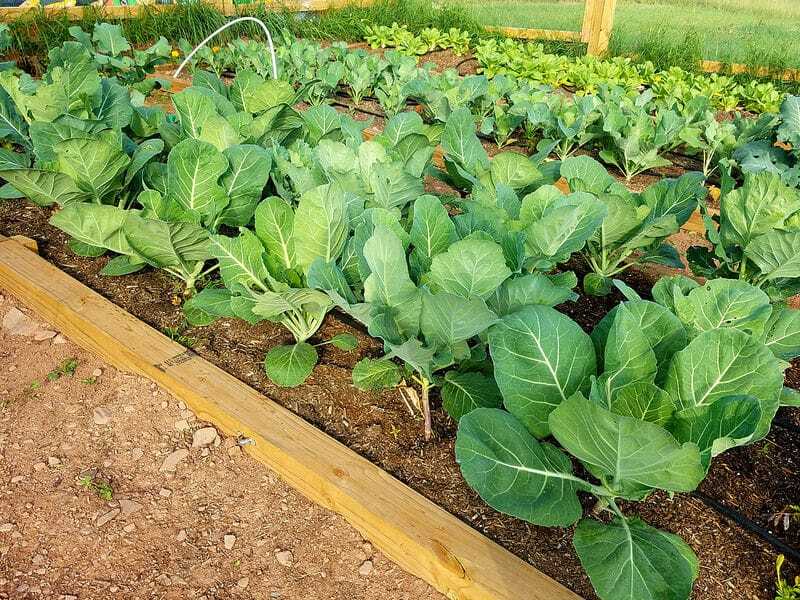 Sometimes I’ll do 1 pound of collards, sometimes I’ll do 12 oz collards/4 oz kale, sometimes I’ll do 8 oz collards/8 oz kale, it all really depends on what we’re growing in the garden. You’ll want to start by heating olive oil and butter in a large pot over medium high heat. Next add red pepper flakes and garlic to give them some flavor. 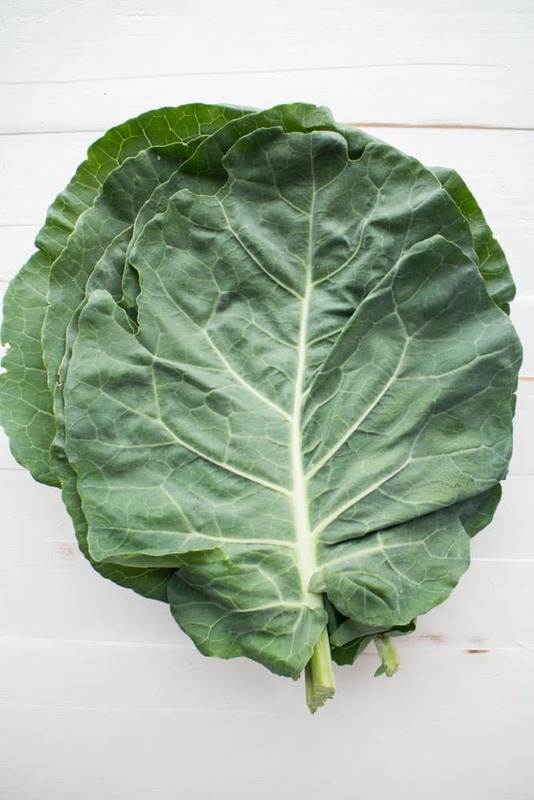 The collard greens are going to cook down a lot so don’t worry if the pot seems super full when you add them! Once it’s been simmering over medium heat for a while all the greens tend to blend together. When I add kale to it my husband doesn’t even know the difference. Serve them as a side dish to just about anything, from fancy holiday dinner to sloppy joe sandwiches. 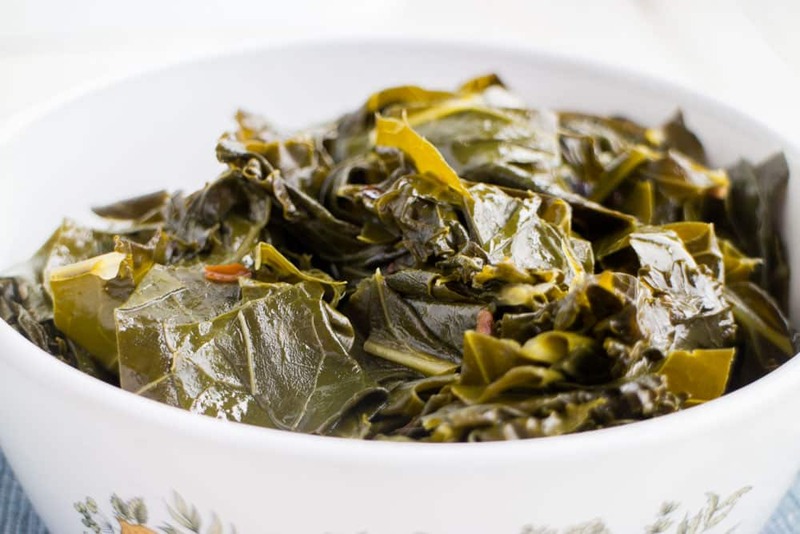 I hope you enjoy this Cooked Collard Greens recipe, it’s one of my current favorites! As always if you make one of my recipes share it on Instagram with #brooklynfarmgirl and I will feature it! Heat olive oil and butter in large pot over medium high heat. Add red pepper flakes and garlic and cook for 1 minute. Add collard greens to pot and cook 2 minutes, stirring occasionally with a spoon. Add vegetable broth and brown sugar, mixing so the sugar is combined. Cover pot with lid and reduce heat to a low simmer for 45 minutes. Season with salt + pepper when serving. 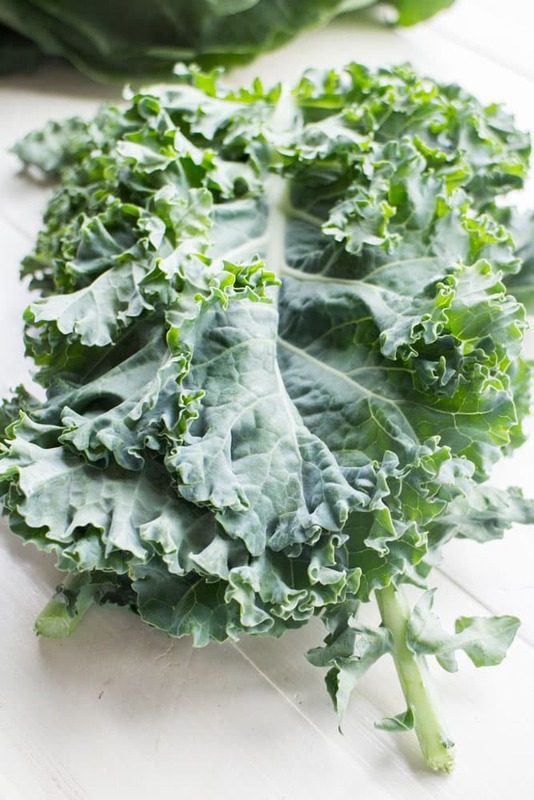 Tip: If you don't have enough collard greens, you can add kale in substitution. 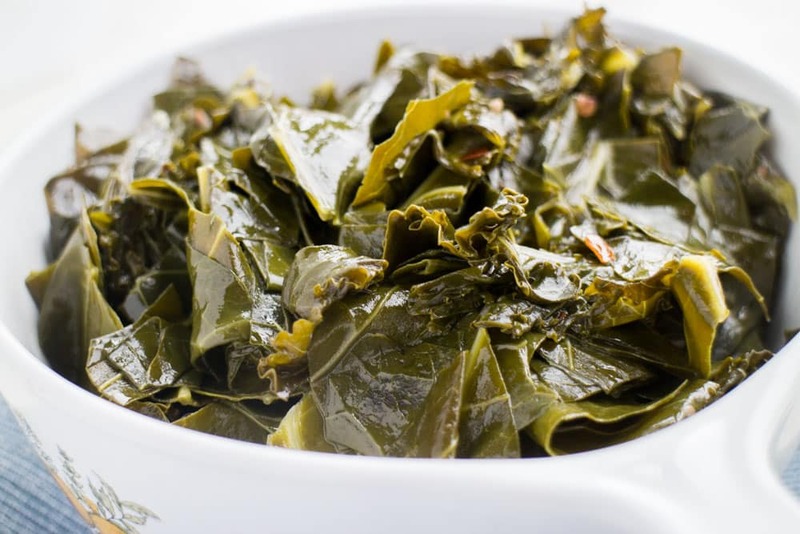 I love collards but often times they are just prepared with too much sweet. Love your gently sweetened approach and that it’s vegetarian. I could have this every day easily. 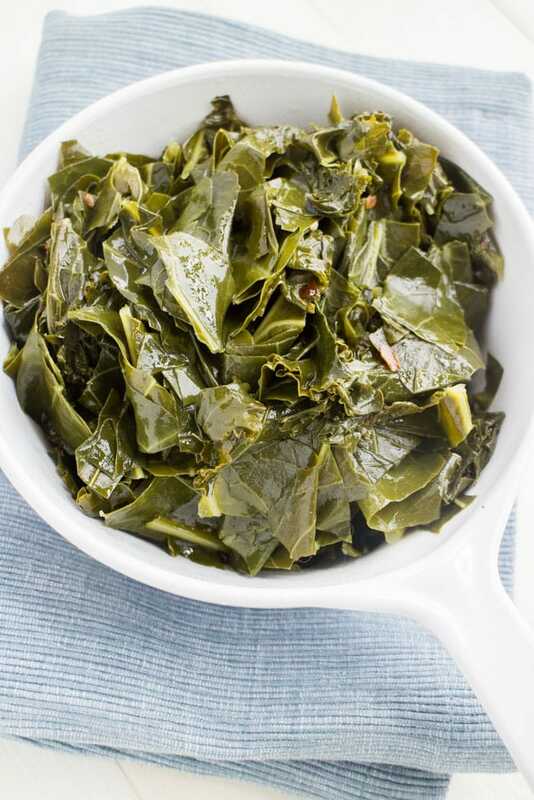 Vegetable stock and a little brown sugar sounds like a great way to cook collards. I’d be happy to eat the whole pot for you! This looks like a great way to use greens. I have been eating a lot of greens recently, but having them plain – I need to try this! I made your lovely recipe & loved it. 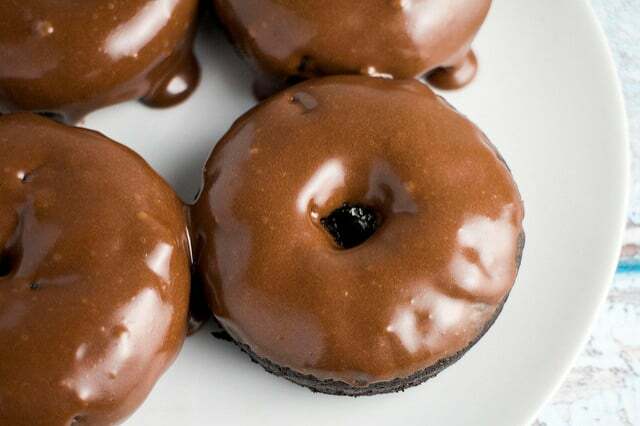 I was a bit curious about the sugar in this recipe but it worked out well! This sounds amazing! Love that this is a vegetarian version. I feel like every recipe I find for collard greens always calls for a pound of bacon (or ham). Pinning! I’ve never tried collard greens! I do love chard greens and wonder if it tastes similar? The recipe sounds wonderful with the brown sugar added. I love collard greens and this recipe sounds so delicious! I think my family would enjoy these! Pinning! PS I also have five cats. Your Fifi looks a lot like my Tinklepuffs, and I’ll bet she’s extra special! Veggie Beth’s vary ingredients. Which brand do you use?